We Drink Your Milkshake! : SKYFALL Teaser Trailer Drops! If you're like me, you tend to put QUANTUM OF SOLACE out of your mind. Before Daniel Craig took over the Bond franchise, I never really paid attention to the movies. The closest I came to interacting with the Bond world was playing countless hours of Goldeneye on my N64 (greatest game EVER as you know). So, I was intrigued when CASINO ROYALE came out, and I gave these films a chance. I loved CASINO and somehow when it comes on TV on an idle Saturday, I can't seem to flip the channel. James Bond's loyalty to M is challenged over secrets from her past. When MI6 is attacked, it falls to Bond to seek out and eliminate the threat regardless of the cost to himself. Not too much to go on so far, but it is only May, so I'm predicting a more badass trailer attached to a blockbuster this summer...maybe THE DARK KNIGHT RISES? So are you ready for Bond to be back? 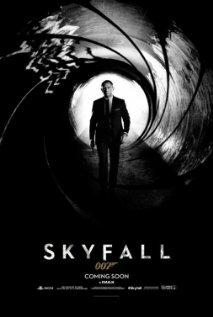 SKYFALL will be released November 2012 starring Daniel Craig, Judy Dench, Javier Bardem, Ralph Fiennes, and Naomie Harris.